The biggest surprise of Thursday’s Capital Area may be how few surprises there were. 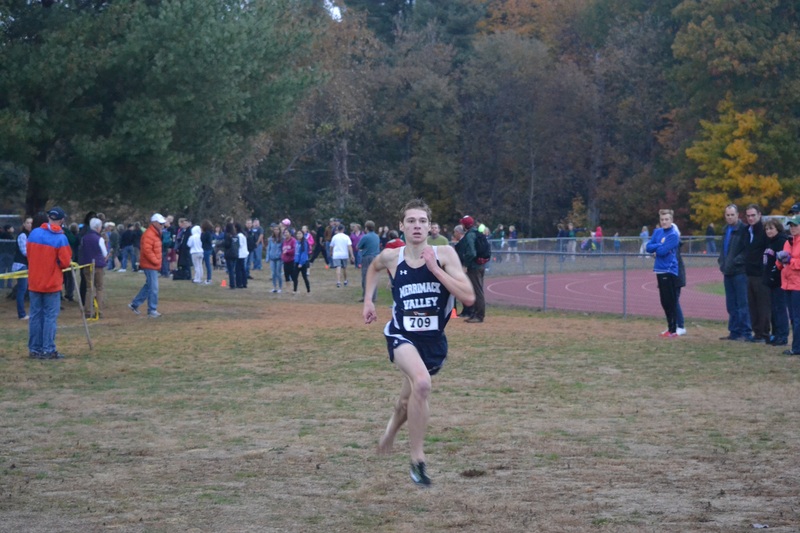 Cameron Daly, Kristie Schoffield, the Concord girls team and the St. Paul’s boys team all repeated their wins from a year ago, and the top teams and individuals mirrored the meet preview. 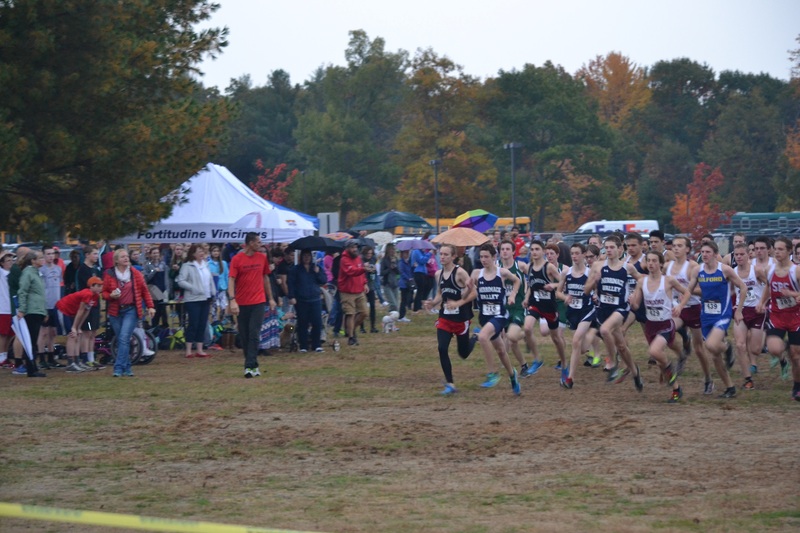 That is not to say that the meet lacked excitement and intrigue, however, as the boys team rematch for Capital Area exceeded expectations and a new course record was set. With the boys race first, Cameron Daly of Inter-Lakes once again faced off against Division III rival Dom Repucci of Hopkinton. As expected, the duo took to the front of the lead pack of 8 through a quick but controlled first half of the race. At the ravine with just over a mile to go, Daly began to pull away, as the pack began to spread out. Repucci was joined at the front of the chase by Alexander Saveliev of Concord, and the pair would remain together until the final straightaway. Daly cruised to the win in a comfortable-looking win course record 16:12, breaking his year-old record by 12 seconds. Repucci had enough gas left to sprint in for second over Saveliev, each clocked in a speedy 16:28. St. Paul’s Mark Roy was next across in 16:40, followed 8 seconds later by Concord’s Oliver Spencer. The team battle was too close to call for the second year in a row. Concord and St. Paul’s each had 4 of their top 5 from a year ago returning, and they traded places across the finish line. The order of finish, if a duel meet, went C, SP, C, SP, SP, C, SP, C, C, SP. If scored as a duel, Concord wins, 27 to 28. However, unfortunately for Concord, there was just enough displacement to allow St.Paul’s a second 1-point victory in a row, 49 to 50. With only 1 senior in their top 7, Concord does look well-set to exact revenge in 2016. 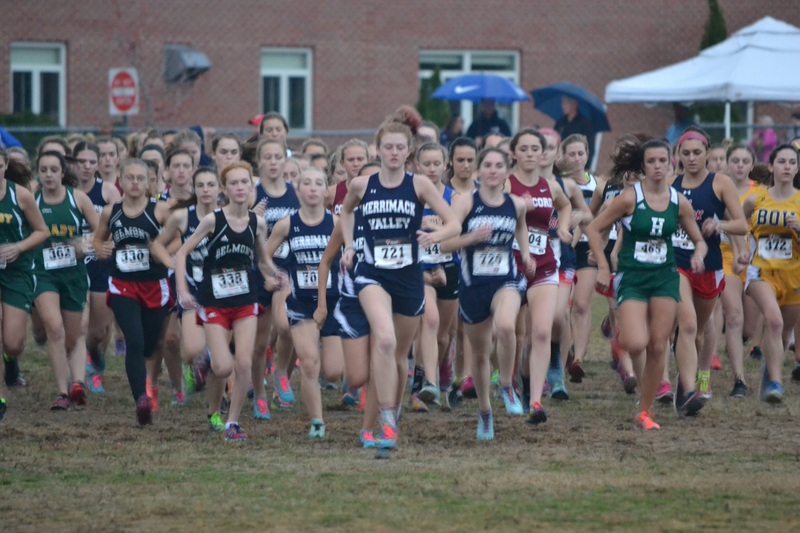 The next three schools were all from Division III, as Kearsarge (118), Inter-Lakes (135), and Hopkinton (149) repeated their order of finish from Belmont two weeks earlier. In the girls race St. Paul’s only ran their JV team, clearing the way for Concord to once again dominate the meet. The Tide placed 5 in the top 8 despite losing two of their top scorers to injuries earlier in the season. Defending champion Kristie Schoffield took the lead at the gun and cruised to a fairly uncontested win in 19:53 over the damp course. The Concord duo of Michaella Conery and Jennika Mannesto did keep things close for a while, and ran together for much of the way until Conery pulled away to take runner-up in 20:10, with Mannesto not far behind in 20:24. Hopkinton mainstay Sarah Nadeau and Belmont 9th-grader Alice Riley broke up the Concord pack, placing 4th in 20:49 and 5th in 21:05, respectively. Teamwise, Concord won for the 4th straight year with a low 23-point total. Merrimack Valley took advantage of Schoffield’s low stick and claimed runner-up status with 79 points, 10 ahead of 2014’s runner-up, John Stark. Bow finished 1 point off the podium in fourth, 90 points to John Stark’s 89.